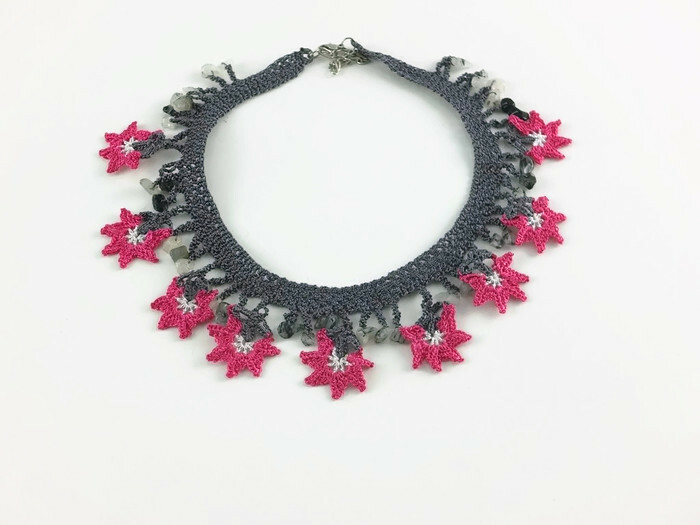 Crocheting is an amazing activity because you cannot only make sweaters and scarves out of it, but also a variety of other items, including jewelry! Don’t believe it? 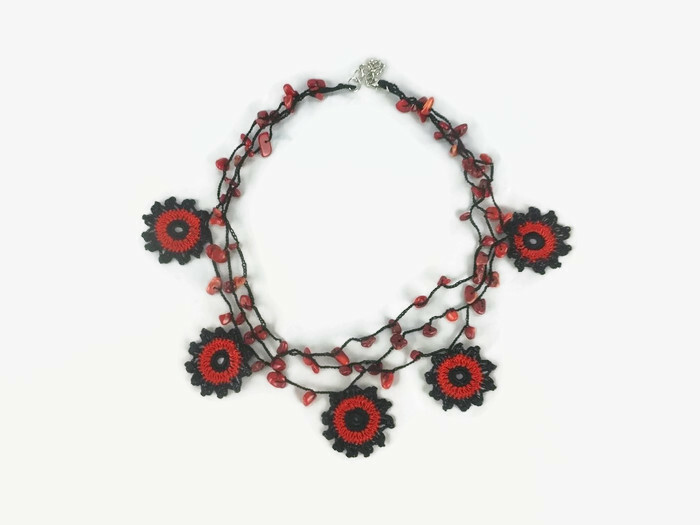 I will today introduce you to a new trend of crochet jewelry. You will see some of the most delicate and unique crochet jewelry pieces in this article and a lot more at the etsy shop of Nakkashe. How many trends you want? Do you want lacy? It’s here! Do you want Bohemian style? It’s here too! Now, without wasting time, I want to show you some of these fabulous pieces. 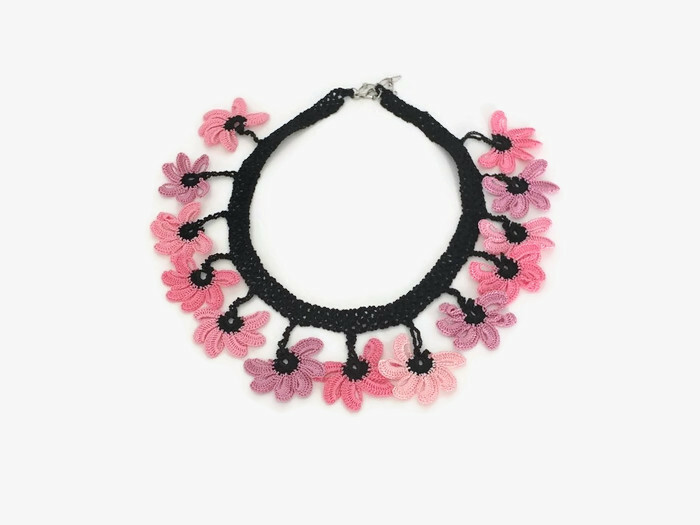 This is a pink flower necklace. 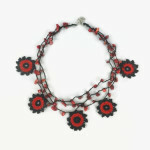 This fantastic piece has been created with Turkish oya thread and completed with lobster clasp. 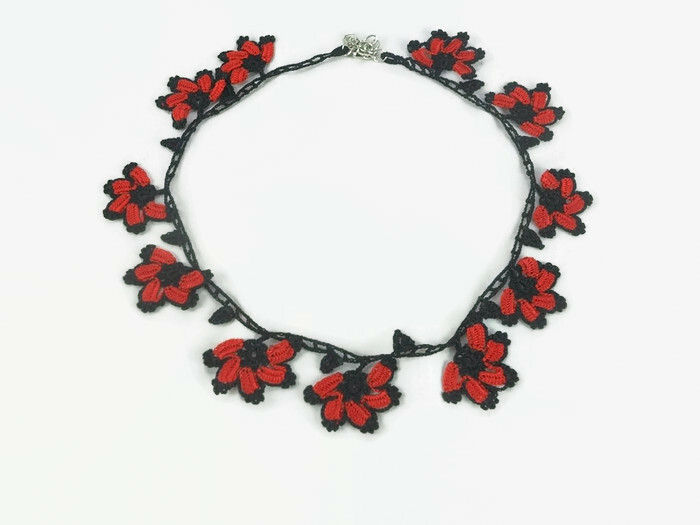 This is another fantastic piece made of red flowers. The flowers are looking stunning because of the blend with black thread. This is another amazing combination of pink and black. 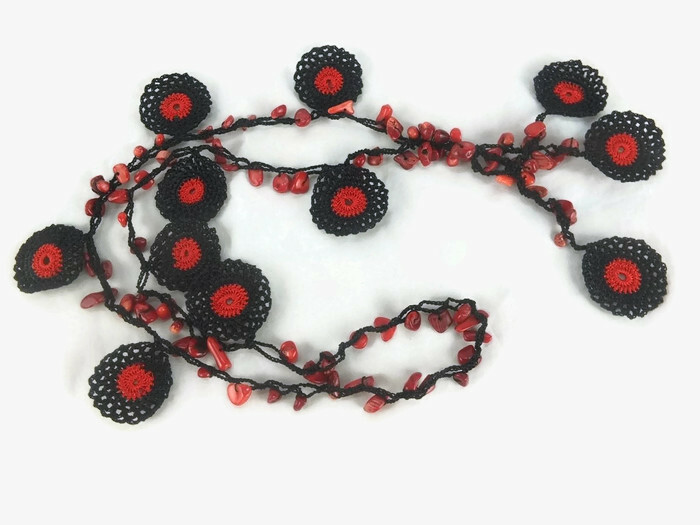 It’s a long necklace with a pendant of three crochet flowers. If you want something stunning, this necklace is perfect. 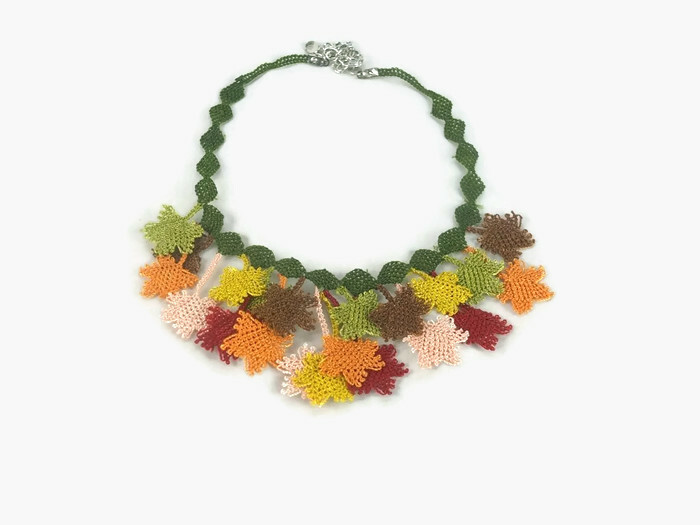 It’s a necklace crocheted with an olive green thread and multiple colored flowers at its center. 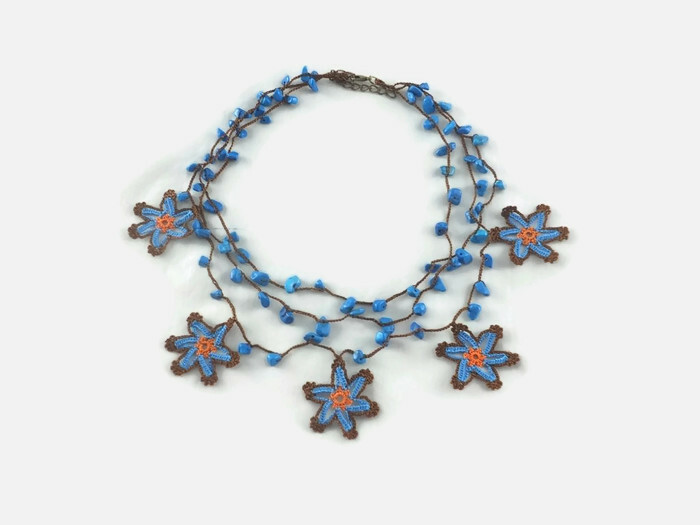 And this gorgeous multi-stranded necklace is made in light blue and dark brown with flowers having a cute orange center! The strands have superb light blue crocheted beads which offer a unique design and can catch anyone’s eye. 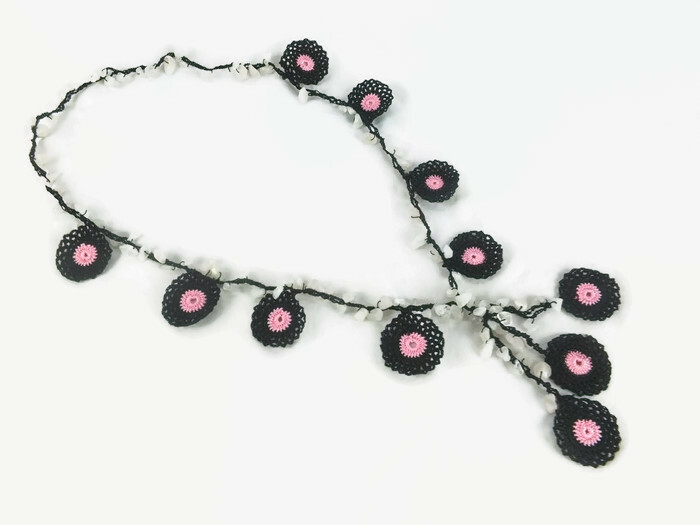 Here’s another amazing multi-stranded necklace with multicolored circles tapering in size from middle to both sides. Color combination is superb and soothing to eyes. Enjoy some more at the end of this article and many more on their shop’s website. 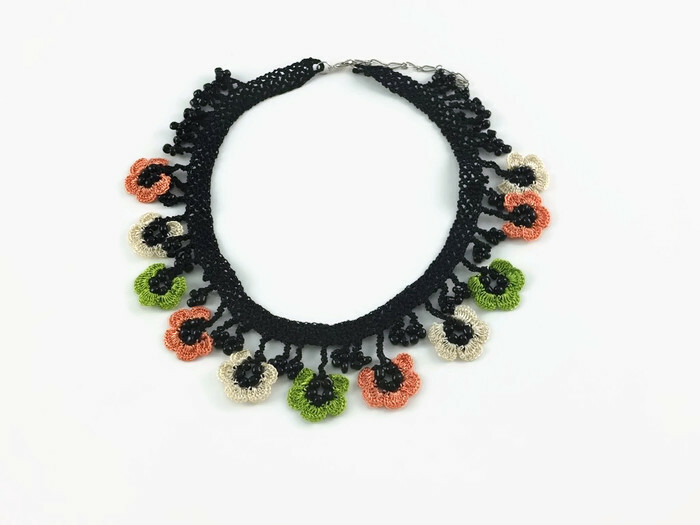 Crocheted jewelry is matchless because being made of fabric (thread) it’s soft and absolutely comfortable. It doesn’t irritate skin and looks fantastic. Besides, it’s the latest trend and so, makes you look the trendiest in the crowd! No doubt, every eye will turn to you when you will flaunt this jewelry on outings and in parties. Moreover, this jewelry is worth a few bucks and looks of millions! And it even doesn’t carry the risk of theft. 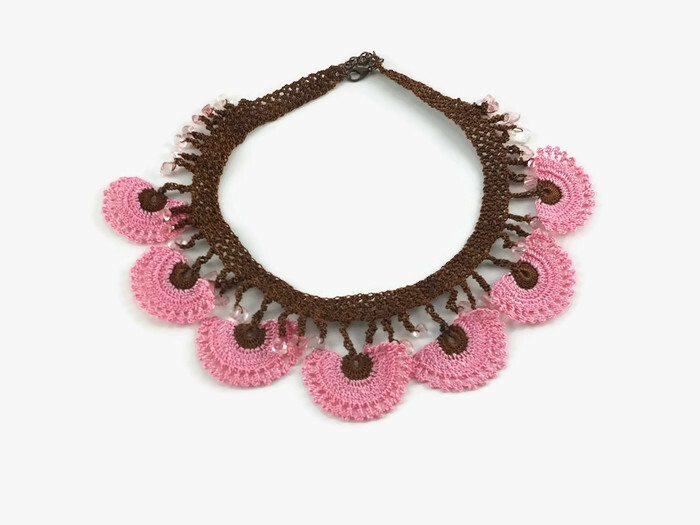 So, from now on, make a statement with the crochet jewelry and shine!